Our beehive brass door knobs replicate a traditional Victorian design, they are suitable for both mortice and rimlocks. Matching brass escutcheons are also available. Every detail is reproduced faithfully and the handle has a wonderful patina of use and age. Beehive design door furniture was very popular in the Victorian era, its a classic look and really enhances the look of traditional doors. 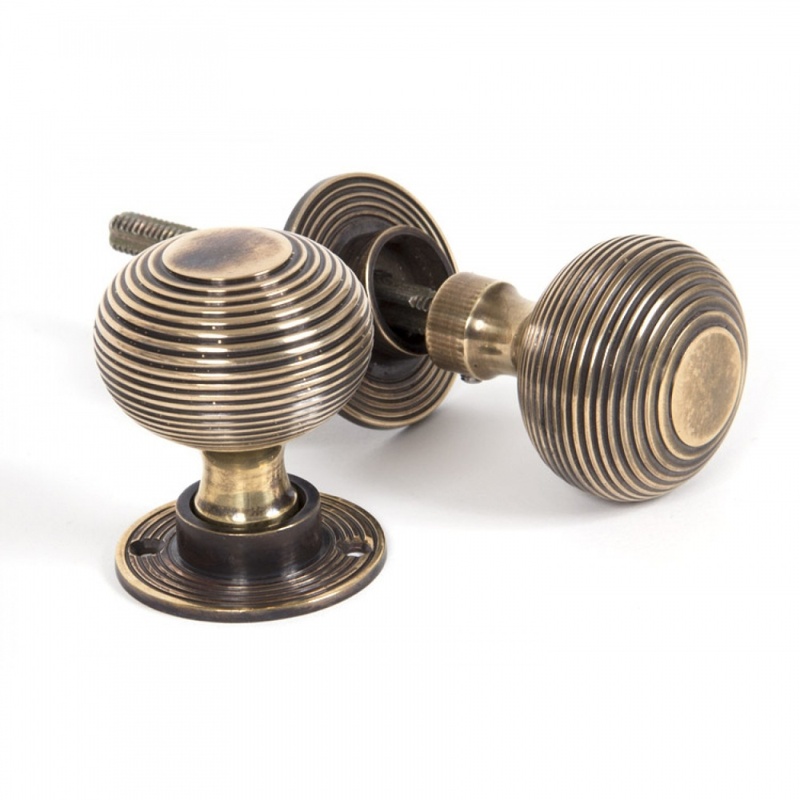 Genuine antique period door furniture is very dificult to come by, our beehive door knobs are as good as the originals, solid brass. Beautiful craftsmanship. Exactly what I was looking for. I've bought this knob and others from The Period House Store. All look just right in my Victorian house. Top quality item great value hope to buy more soon. Thank you very much for the review and we're very glad that you are pleased with your beehive knobs. Ordered these after being let down by another company. I ordered at 11 o'clock they arrived next morning. Couldn't ask for more. Quality product, they have made our doors look amazing, excellent customer service.